I was never a big fan of The Olive Garden but they did have one dish I really liked – Chicken con Broccoli. It was made with orecchiette pasta and had a delicious creamy garlic sauce that was mixed in with pieces of broccoli and topped with chicken. When I tasted my Creamy Garlic Sauce the first time I immediately thought back to that Olive Garden dish. 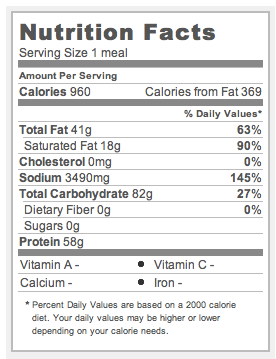 While Olive Garden has since taken this meal off their menu you can easily recreate it at home, which is a good thing considering the calories, fat and sodium of the original meal was almost a full days serving. 2. 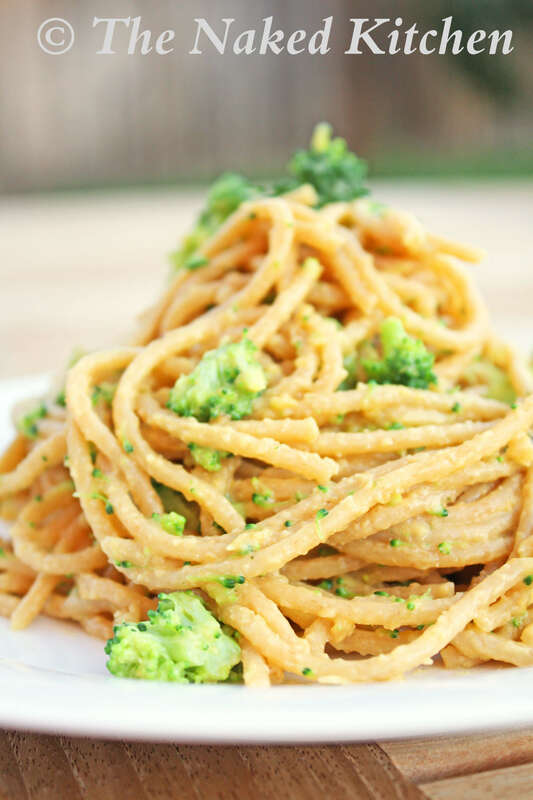 In a large bowl add the pasta and broccoli and stir gently to combine. Add the garlic sauce and gently stir until evenly coated. 3. Transfer to 9 x 12 glass baking dish. 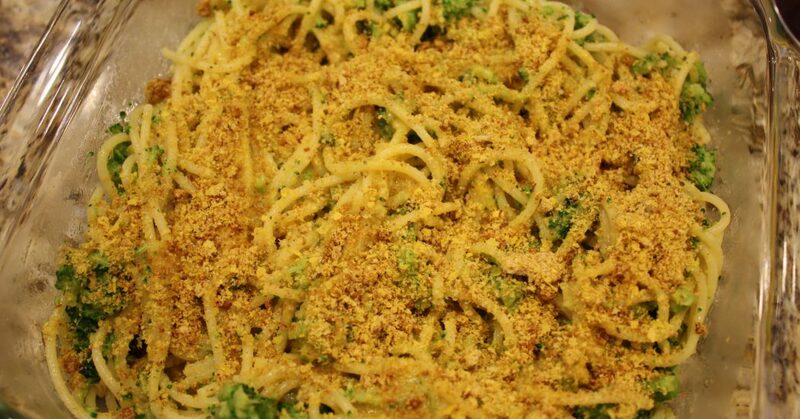 Sprinkle with breadcrumbs (if using) and place in the oven for 20 minutes. 4. Remove from oven and let cool for a few minutes before serving. Leftovers can be store in an airtight container in the fridge for up to 3 days. You can freeze the leftovers for up to 6 months but you’ll want to add a bit of sauce when you reheat as the pasta will be a bit dry.